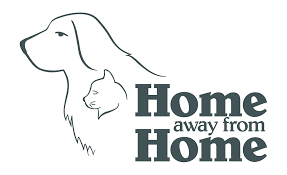 Jill Guttomson, owner of Home Away From Home is a vet tech. Jill has experience working with behavioral issues and the ability to watch and care for both cats dogs who experience anxiety, who may be recovering from surgery, and/or need medication. We accept ALL breeds, big and small, and we have everything your pet needs. We care for your pet like it's our own. We provide services such as boarding, grooming, and so much more. We really want your pet to feel like our facility is their second home!